Ever had one of those days when everything just seems grey? January has a tendency to have that affect, particularly in the UK. Ive never enjoyed wintry British Januarys, especially since I spent 2015’s January in Sydney Australia. So whats the antidote? A) Fly to Australia? Don’t think I haven’t considered it. B) A Sunbed. Perhaps, but I dont particularly want to have a Trump like orange hue to my appearance. Or C) Hibernation? The actual answer, believe it or not, is Reading! Yes you heard correctly – Reading. 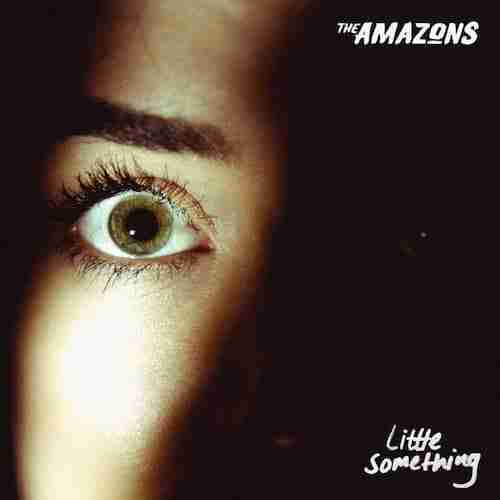 The Amazons – Little Something is our first discovery of 2017 and what a discovery it is. A proper British band ragging their guitars, smashing the drums and wailing down the microphone. No pretension here, just a quartet of proper rockers with a reputation for getting rowdy. Guitar music in the UK may not be quite at it’s zenith in terms of universal popularity, but with more bands like this, then maybe, just maybe, the likes of Little Mix, Clean Bandit, Charlie XCX and co will finally be exposed for what they truly are – 90’s Vengaboys charlatans! Which by the way is not a good thing. We can only hope. But whilst we wait lets grab a Red Stripe, and to use timeless rock cliche, turn The Amazons – Little Something up to eleven.